Recently, because of the softness of the hay market, growers have become more aware of differences in feed quality between fields. Buyers have raised their standards and are paying the high price only for the premium testing hay. A difference in 10 point in RFV can be as much as $80.00 per ton. In response, growers have begun sampling bales in the field prior to stacking. Premium bales are stacked together and lower quality bales are stacked separately. The feed analysis gives managers the information needed to cull lower testing bales and stack the premium testing bales for the higher feed test. Quick feed analysis turn around time is key. Many laboratories provide same day results. Stanworth policy is “in by 10 AM, out by 5 PM. The old industrial “one size” fits doesn’t always apply to desert hay production. Differences in stand age, variety, soil type, irrigation schedule, nutrient levels, and soil salinity all contribute to variability in feed quality from field to field. Whatever the reason, sampling the bales in the field prior to stacking is helping cagey growers be more competitive and return more greenbacks to the ranch. Background: Alfalfa is a plant in the Legume (bean) family which originated in South West Asia, in what is now Iraq. Alfalfa was introduced to Europe in the 5th century. And made its way to south America via the Spanish Colonization. Eventually, Alfalfa was introduced to California by way of Chile in the mid 19th century. 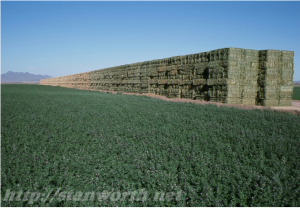 Alfalfa is well adapted to limestone soils (alkaline pH). Consequently, it produced well in the western United States and is grown now on over 1 million acres in California alone. Root-zone: Alfalfa has a deep root system. The effective root-zone of an alfalfa plant is over 1 meter deep. Alfalfa does well in a variety of soils types that range from Silt-loam to very sandy coarse texture. The key to good production is good drainage. Alfalfa does not grow well in areas where water lingers for very long. Alfalfa likes alkaline pH, and moderate soil salinity, but growth can be limited by excessive soil salinity. Stanworth laboratory regularly consults on the feasibility of growing alfalfa on prospective farms. This is accomplished by testing the soil. Because soil drainage and root-zones are important, soils are sampled to a 2 meter depth (see photo). Soils are sampled in multiple areas of the field with a pit dug for every 5 hectares of area. Soils are sampled in the hole down to a 2 meter depth. Each 33 cm depth section of the hole is analyzed separately. This helps us understand if there are any soil layers that may restrict the growth of the roots. 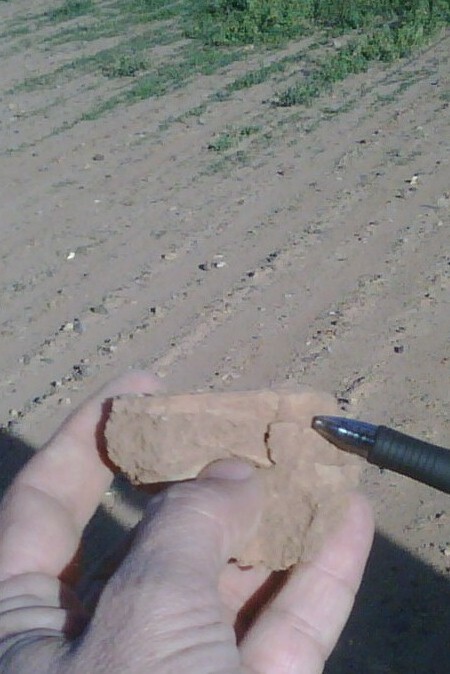 Soil analysis includes tests for: soil salinity, moisture (drainage), soil texture, and nutrients. Special attention is made to look for restrictive layers that may limit water movement. Soil Preparation: Good soil preparation is essential to successful growing of this crop. The seedbed must be prepared well to be loose and not cloddy. Good soil-seed contact is essential to good root establishment. Cloddy soil can cause non-uniform germination and thin plant populations. The alfalfa seed is small and does not have significant resources to grow through difficult environments. So good land preparation is essential. Commonly, growers prepare the soil by deeply cultivating soils prior to planting. This creates an excellent soil environment for the tap-root to penetrate. Tractors pull deep steel shanks up to 1 meter deep though the subsoil to break up any hard soil layers that may restrict roots or water flow into the soil. 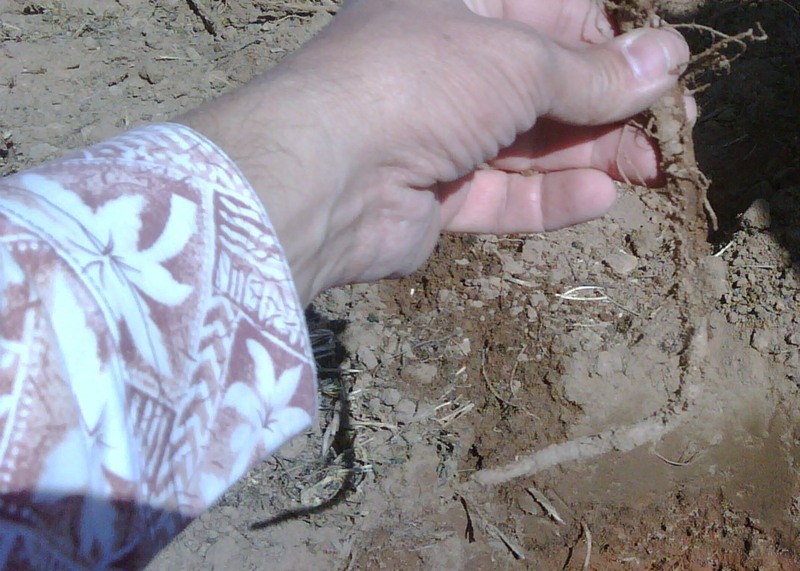 Surface soil crusts may also reduce good establishment of alfalfa, as it is difficult for the young plant to push up through the soil surface (see photo). Irrigation Preparation: It is important to provide ample water to the field before the seed is planted. After the soil has been prepared to accept the water, it is best to re-fill the profile with water to wet the entire root-zone. If the soil is very dry, this can be a considerable amount of water and may take days of irrigations to fill the soil back up. Amounts of water can be estimated. For example, if a farmer is preparing a loam soil, filling up the top meter takes about 13 cm of water (imaging ponding 13 cm of water on the surface of the field). If the field is under center pivot irrigation, this means irrigating over the period of 10 days! This accomplishes two things: 1. it gives the young plant good moisture to penetrate down into to explore the soil and 2. 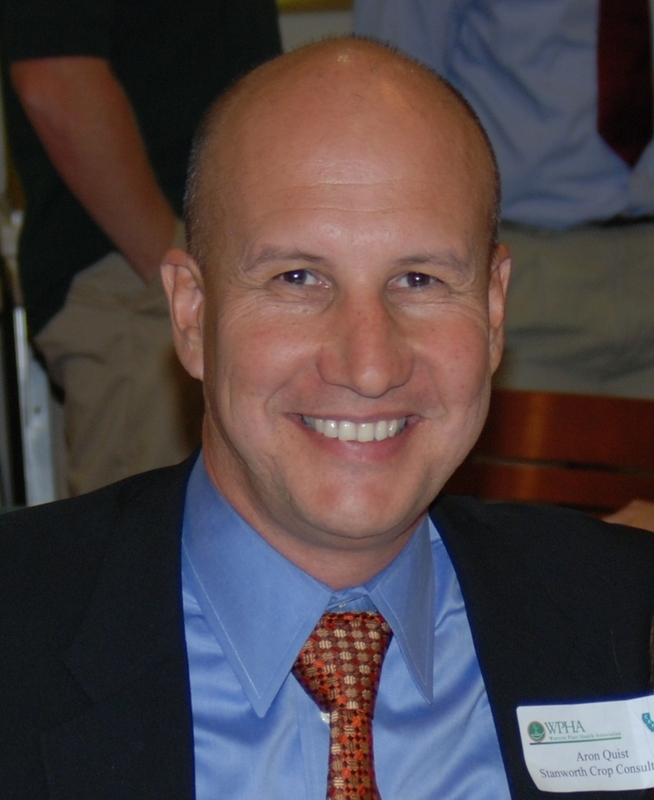 It germinates competitive weeds so that they can be controlled prior to establishment. 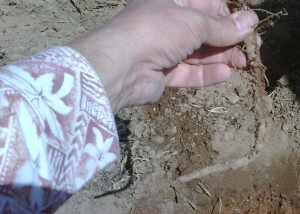 After planting, sometimes a light irrigation may be needed to soften the surface crust to allow the young plants to emerge. Alfalfa roots can grow quickly and surprisingly deep. During establishment a young alfalfa plant, less than 10 mm tall will commonly have a root that is 250 mm deep. 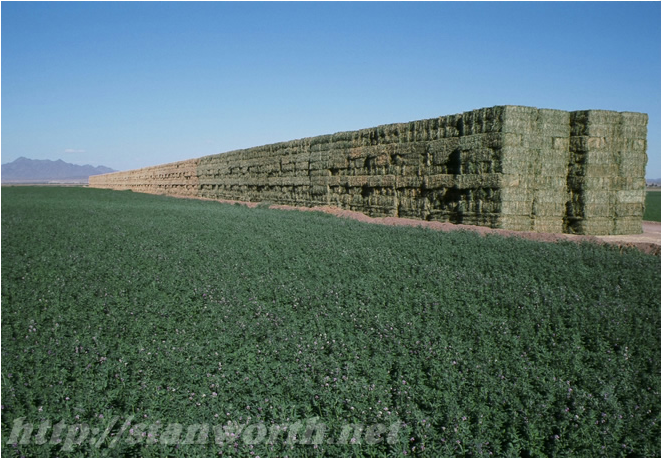 After establishment, high producing alfalfa uses a considerable amount of water to maintain good yields. It is a good practice to irrigate as close as possible to the cutting as good moisture is essential for regrowth of the plants. A price is paid for water stressed plants waiting for irrigation after the bales are picked up. Fertilizer: Alfalfa responds well to phosphorus and potassium fertilizer where soil tests reports show need. Since alfalfa is a legume, applications of Nitrogen are not normally needed, however, it is important that the seed be inoculated with Rhizobium bacteria to help the plant fix Nitrogen. The most important time to apply phosphorus for establishment is prior to planting. Phosphorus is important in development of the root system, so the seed-zone must be rich in P as the seed germinates to allow for good uptake. Typical application rates of phosphorus prior to planting range from 50 to 150 kg/ha Phosphate (P2O5). After the field is established, additional amounts of P and K are normally applied to maintain good production. Rates of fertilizer vary upon yield potential, the higher the yields, the more fertilizer that is required. The best way to estimate fertilizer needs is to base them upon soil analysis. After establishment, the best time to apply these nutrients is after a cutting. The reason is that alfalfa roots grow quickly and proliferate the soil after the field has been harvested, so the timing is good for plants to pick up nutrients in the first irrigation after the cutting. I encountered this text back when I was teaching Soils at Imperial Valley College. It continues to bring a smile to my face considering the poor subjects tasting soil:water extracts. sure that all the water will strain out and bid drops pass through the twigs. the wry faces of the tasters with the sensation. 1. Soil (mold) sample where Corn (wheat) can not thrive. 2. Sweet Water from the spring. 3. Close woven twigs and wine press to filter the solution. 4. Volunteer subjects to taste the extract. If I want to make 12 tons of alfalfa, how many lbs of K and P do I need to apply? That is an easy and difficult question to answer. Here is the easy answer: Alfalfa removes 9 lbs of P2O5 and 60 lbs K20 per ton of 90% dry matter produced. So, doing the simple math, in a perfect world, one will need to apply 108 lbs P2O5/ac and 780 lbs of K2O/ac. The difficult part is to estimate the amount of P and K already present. 1. Our soils are relatively young geologically speaking. Soil minerals contain P and K occur naturally in our soils. Basically soil nutrients come in and out of plant availability. Plant availability of nutrients in the soil depends upon the soil chemistry. This is influenced by a number of factors: micro-organism activity, aeration, soil moisture, pH, soil texture, water quality, lime content of soil, root growth. 2. Higher yielding crops remove more nutrients from the soil. 3. Organic Matter from previous crops contribute to more nutrients in the soil. 4. Fertilizer applications contribute nutrients in the soil. I have a library of books on this subject, but the answer is to monitor the soil P and K on a routine basis. Follow the applications of fertilizers’ to see the responses. Make up the differences to maintain high amounts of P and K in the soil so that will not limit yields. Stanworth Consultants is conducting a replicated experiment to analyze the potential effects on soil chemistry by the use of applications of large amounts of beet lime on calcareous soils. A replicated experiment is now underway with 4 treatments of different phosphorus fertilizer types including an untreated check. The plots are split with an application of beet lime on one half and none on the other replications. Crop grown is durum wheat. Soil Columns with soil moisture sensors on left. 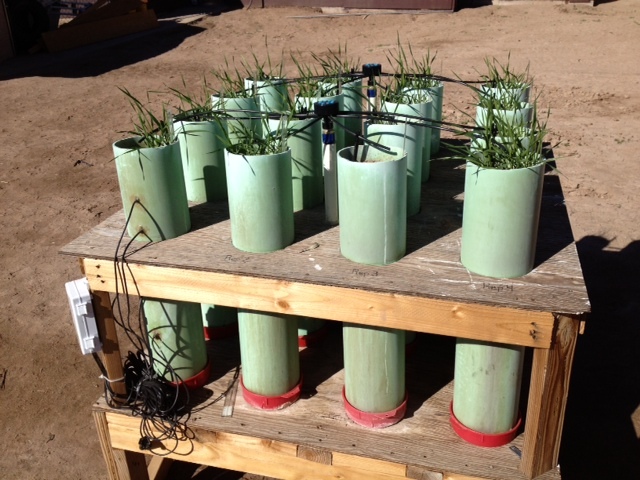 Irrigations on the columns are being predicated upon by Echo soil moisture sensor data. SOIL MOISTURE SENSOR DATA, SEE ROOT DEPTH INDICATED. Chemical analysis of plants and soils and yields will be measured at season end. Reports will follow. Soil Surface Crust reducing Alfalfa Establishment and vigor. AWANA is a children’s ministry that is based upon learning about a loving God by studying His word. The children memorize scripture, play games and earn points for other activities. It is based upon 2nd Timothy 2:15. Which encourages children (Clubbers) to study hard, be good workers and think critically about scriptures in the bible and ponder them. Cubbers Range in age from Kindergarten to High School. Clubbers earn points by passing sections that teach them about God’s Word. They earn points (awana bucks) that accumulate through the year. 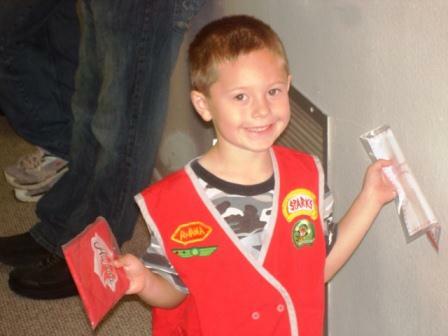 These AWANA bucks can be spent at the AWANA store. Many children save these bucks and purchase Christmas gifts for their family members. It’s not ALL fun and games, but a good portion is. The games accomplish a number of things. 1. is to help them shake off pent up energy, this allows them to concentrate on studies, 2. it helps them to develop a team spirit and 3. it helps build relationships and shared experience. Club night is made more fun by having theme nights. 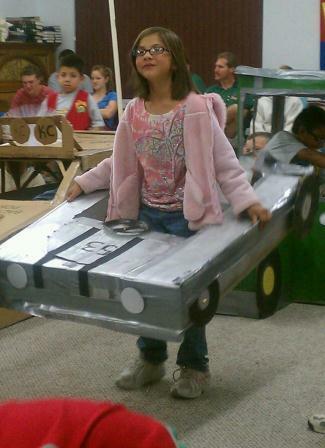 “Movie Night” is made a little different by making cars to sit in during the movie showing. Clubbers are encouraged to work hard on their sections. Section point winners can throw a pie in the face of their selected Leader. Sometimes the leaders can put the pie in the face of the Clubber! 2011 Trek trip to Joshua Tree. Clubbers are encouraged to explore God’s World. 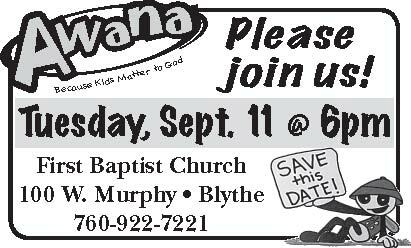 The AWANA program is designed to equip kids to experience a life that contains His joy supported by the word of God. 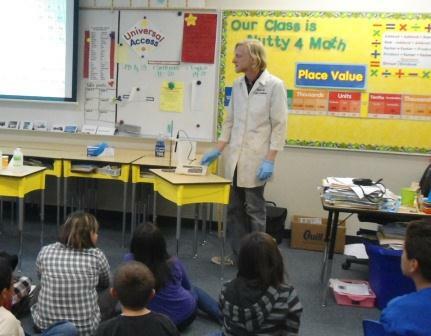 Last year Stanworth Consultants participated in Science Education Outreach Project at local schools. Max Kalakosky, Chemist at Stanworth Lab helped children understand how soil quality can affect plant growth and the establishment of habitat plants. 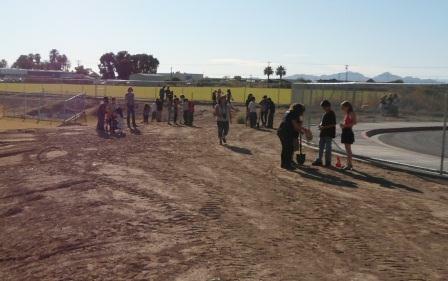 Soil samples were taken of the proposed habitat area, the samples were extracted and analyzed for salinity. Determination of how these results would impact the restoration of native plants was discussed. 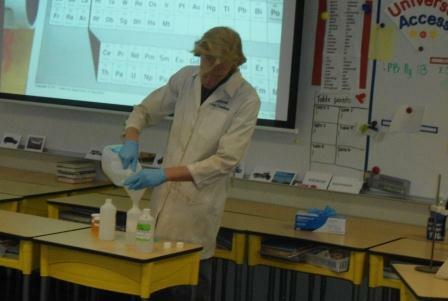 The students learned how chemistry can be used to help improve the environment and grow plants more successfully. Stanworth Consultants volunteered to participate in this Science Grant project coordinated by Jesse Yonkovich for the PVUSD. Many thanks for his efforts to support our students technical foundations. Sometimes you stumble on some old work and say, wow did I write that? Below are some thoughts on the benefits of good irrigation scheduling. Perhaps the most misunderstood, over looked, and under utilized practice in crop production systems today is proper irrigation scheduling; it encompasses the most critical input, water. Water is the catalyst for many phyto-chemical reactions within the plant that are necessary for the plant to obtain optimal health. Below is the rational and legitimacy of irrigation scheduling. Irrigation scheduling should be utilized as a mechanism to respect the water consumption needs of plants through their various growth and developmental stages in order to attain high yields while maintaining soil quality and conservation of water. Target soil moisture depletion percentages should be utilized by to schedule the irrigation of fields. The “feel” method and other technologies should be used to properly monitor soil depletion levels. The calculation of moisture loss should be equated by utilizing evapo-transpiration in accordance with the modified penman equation and crop coefficients. Improve uniformity of irrigation applications by calculating flow rates and application efficiencies of the irrigation system being utilized. Influences such as moisture holding capacity, knowledge of the plant root depth, soil texture, salinity, and organic matter should be considered when determining plant available water. Improve soil absorption and pecolation efficiencies in order to properly leach accumulated salts through, and past, the root-zone profile by properly quantifying the target moisture level in the root profile and the amount of water to be applied. Critical growth stages should be considered and irrigation should be utilized to improve crop quality. Mitigation of ground water pollution from fertilizers by increasing plant root depth and allowing proper moisture transport through the soil profile and optimizing nutrient management. Proper irrigation scheduling is vital in order to optimize plant and soil interactions. Water plays important roles in many facets of not only plant health, but also in soil fertility. That being the case, quantifying the amount of water and the time between irrigations has a direct affect in the quality of a crop. Good alfalfa production depends on good irrigation scheduling in the desert. The most critical irrigation is the one prior to the cutting. Fields that lack sufficient water for good regrowth after the cutting suffer significant yield losses. Each day a cutting is delayed after an irrigation is worth 4 days in the windrow for curing (1.4 Kc vs 0.3 Kc). 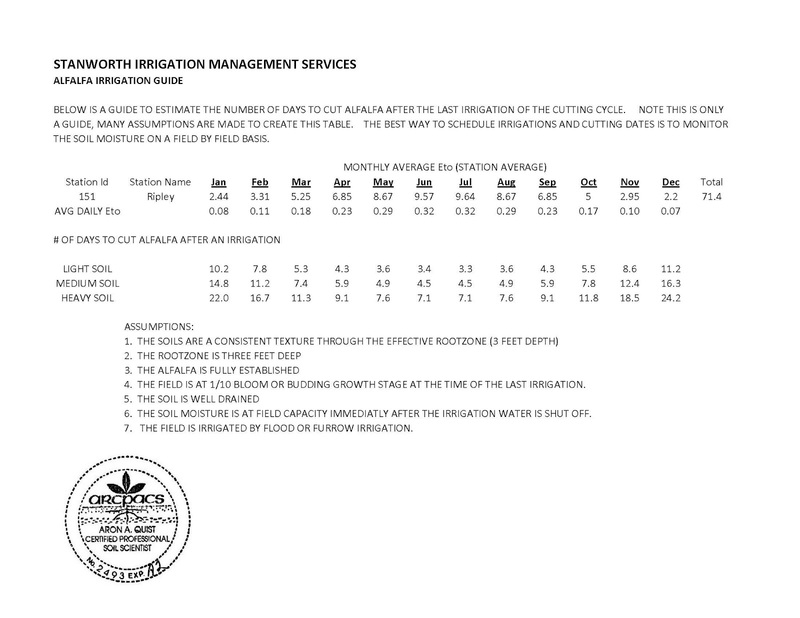 Below is a table to assist local growers in estimating the minimum time needed for the soil to be sufficiently dry to swath the field.